With a septic tank system that is in good condition and performing as it should, it could be years before you will have to give any sort of repair or replacement a second thought. However, when problems arise you need to be able to bring in the professionals that know what will have to be done. This is where you can count on our team of licensed professionals at Schleg Valley Construction for all of your needs in quality septic tank system replacement in Lake Stevens. If you are worried about what will need to be done, or what the cost may be, we will be able to sit down with you to go over your needs and budget. While your septic tank system is a significant investment for the proper function of your home, we will always make sure that we do all we can to take the affordable approach while never compromising on quality. It is only natural that the first thing that will come to mind when you learn that you need a septic replacement will be the cost. While there are some instances where a repair can be performed, you may simply be putting a bandage on something that can get worse over time and cost you a whole lot of money. 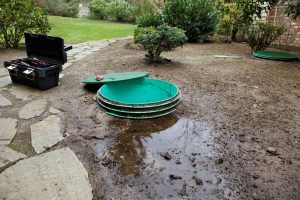 You may just be better off having a full replacement done of your septic tank system so that you have peace of mind that all will be working well after the new installation. If you are in need of professional septic tank system replacement in Lake Stevens, you can look to Schleg Valley Construction. Call (425)312-6750 today and we will set up a time to come out to your location to assess your septic needs. If a full replacement is required, we will put together a detailed estimate for the work to be performed.